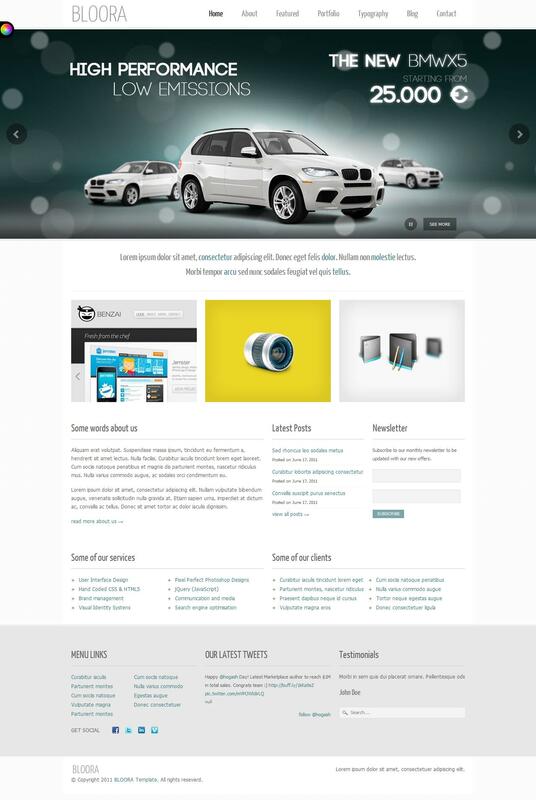 TF Bloora - stylish portfolio website template for CMS Joomla from the popular shopping site ThemeForest. Elegant design template contains light and dark skin appearance, are easily configured through a special built-in tool. This template is designed for functional platform Gantry Framework, which is responsible for fast operation and optimization of the overall pattern. In the assembly is a stunning slider images Parallax Slider? allows you to display content from a variety of effects. The modular design contains more than 60 products for the optimal placement of all the elements. To increase the capacity of the extension template includes: AcyMailing, V-Portfolio, News Show Pro GK4, Simple Image Gallery and others. TF Bloora perfect for creating original portfolio of projects.